"Blue & Gold Macaw (Jungle Gardens, Sarasota, FL)." 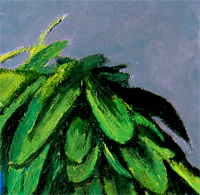 I based this painting on a some photos that I took at a zoo called Jungle Gardens that is in Sarasota, Florida. 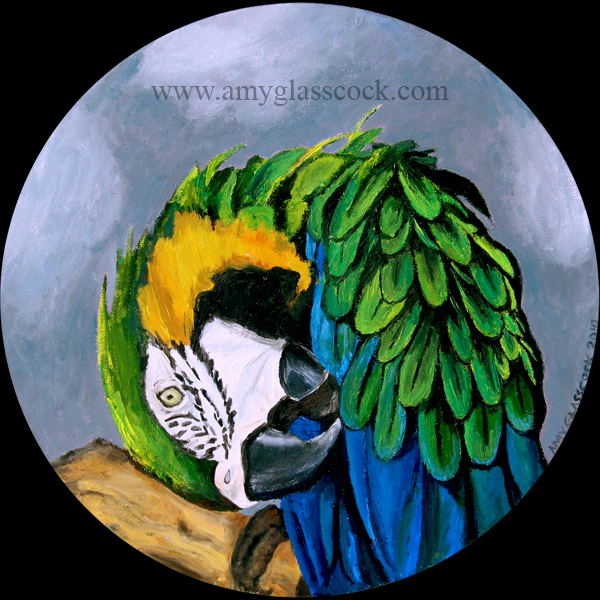 I caught this macaw as he was grooming his feathers and I thought that the angle of his body would look cool on a circle canvas.